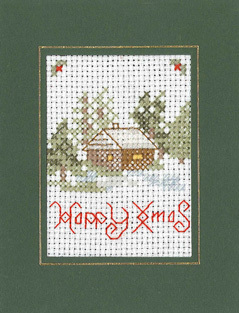 A Baubles Christmas card cross stitch kit to stitch and make a sparkling Christmas greeting card. The card has three different windows with decorative christmas tree baubles dressed with beads and bows. The aida has pearly thread to add a lovely festive glister. 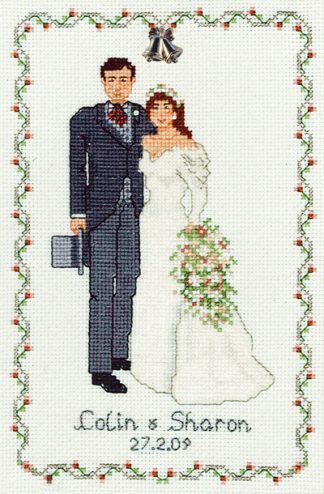 A Baubles Christmas card cross stitch kit with three different windows featuring decorative baubles with beads and bows. Pearl lustre thread woven in to the aida gives a festive glister. 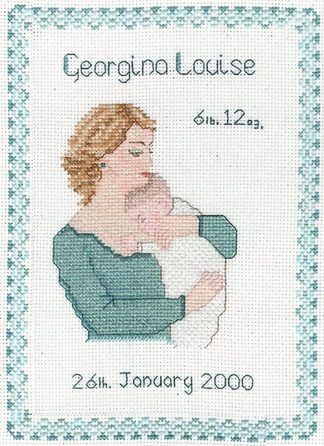 This Baubles Christmas greeting card cross stitch kit contains top quality materials; Zweigart sparkly aida, DMC and metallic threads, bows, beads, needle, green card and envelope. The kit has a clear chart and full instructions which include how to mount the card. This Baubles Christmas card is from the Decorative Textiles collection.